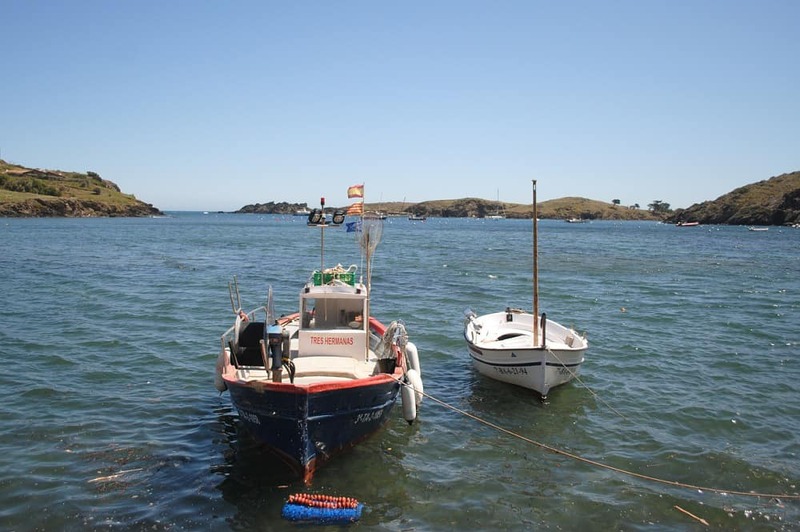 Cadaqués is a former fishing village set on a bay in the middle of the Cap de Creus peninsula on Spain’s Costa Brava. With a population of around 3,000 the economy of the town is now primarily driven by tourism. The drive to Cadaqués from Barcelona is only about two and a half hours, making it a popular weekend destination. Surrealist painter Salvador Dalí came from nearby Figueres and often visited Cadaqués in his childhood. Dalí later kept a home in Port Lligat, a short drive from Cadaqués. 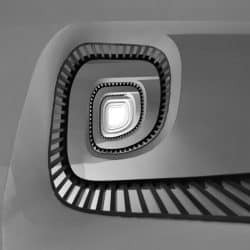 Many other famous artists have visited or had ties with the town, including Pablo Picasso, Joan Miró, Marcel Duchamp, Richard Hamilton, Albert Ràfols-Casamada, Antoni Pitxot, Henri-François Rey, Melina Mercouri and Maurice Boitel. 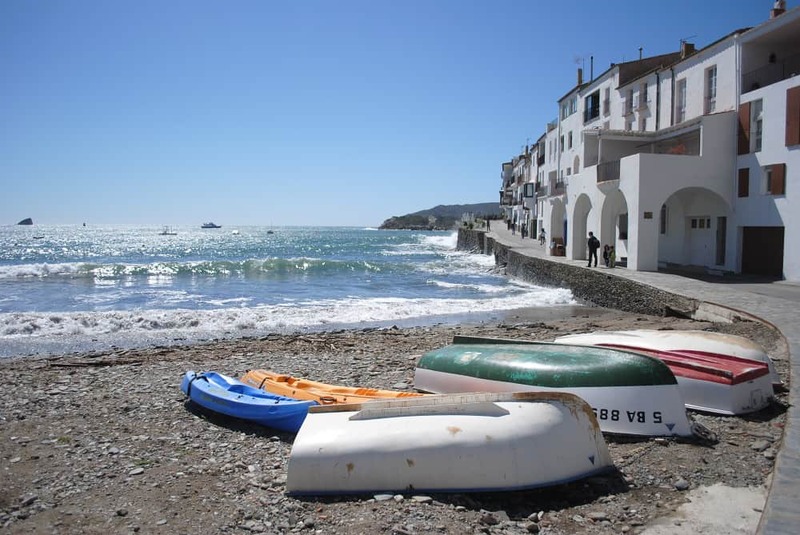 During the winter months, Cadaqués can be subjected to the Tramuntana, a strong wind that blows off the Pyrenees similar to the Mistral in France. Cadaqués is mentioned in a story called “Tramontana” by Gabriel García Márquez. The best options to reach Cadaqués are by car or by bus as there is no train that goes to the town. The town can be reached by bus from Figueres or from Barcelona (‘Nord’ Bus Station). Dalí’s house in Port Lligat has been converted into the Casa-Museo Salvador Dalí. The photo above shows the view out to sea from the house. 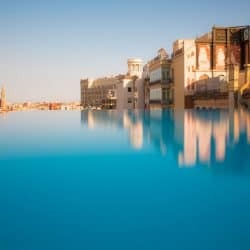 Both the bay and the island have been represented in several of Dalí’s paintings, including The Madonna of Port Lligat, Crucifixion (Corpus Hypercubus), and The Sacrament of the Last Supper.